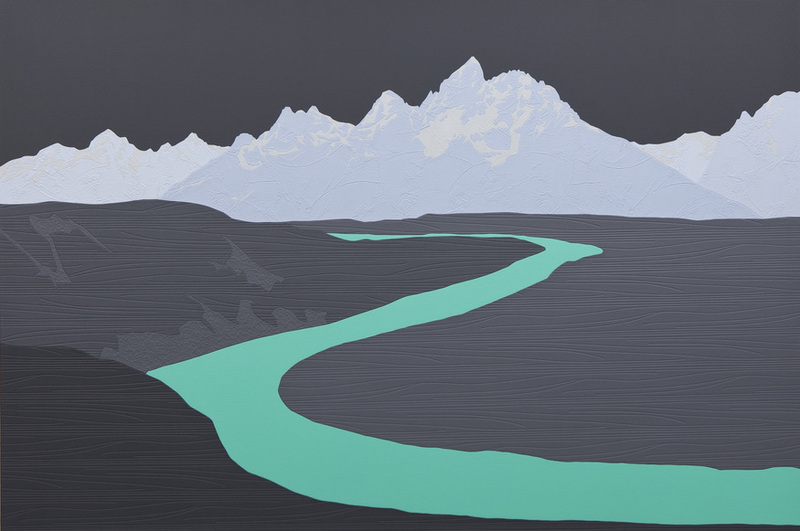 From a distance Wightman’s landscapes appear so minimalist that they almost seem child-like but it’s only on closer inspection that you notice the finer details that pull you into his works. His use of painted and richly textured wallpapers gives his art a sense of depth that no use of mere paint could. His unique style excels when the three dimensiality is used to make foreground objects appear as if they are receding, thus creating an effect that takes a few minutes to fully sink in. When we spoke to the artist he said he is inspired by ‘melancholy, sentimentality, nostalgia and beauty’ and this is clearly evident in the serenity that his works impart on the viewer. Landscape paintings may seem like a saturated market but Wightman’s novel approach of using textured wallpaper is likely to make him stand out from the crowd. 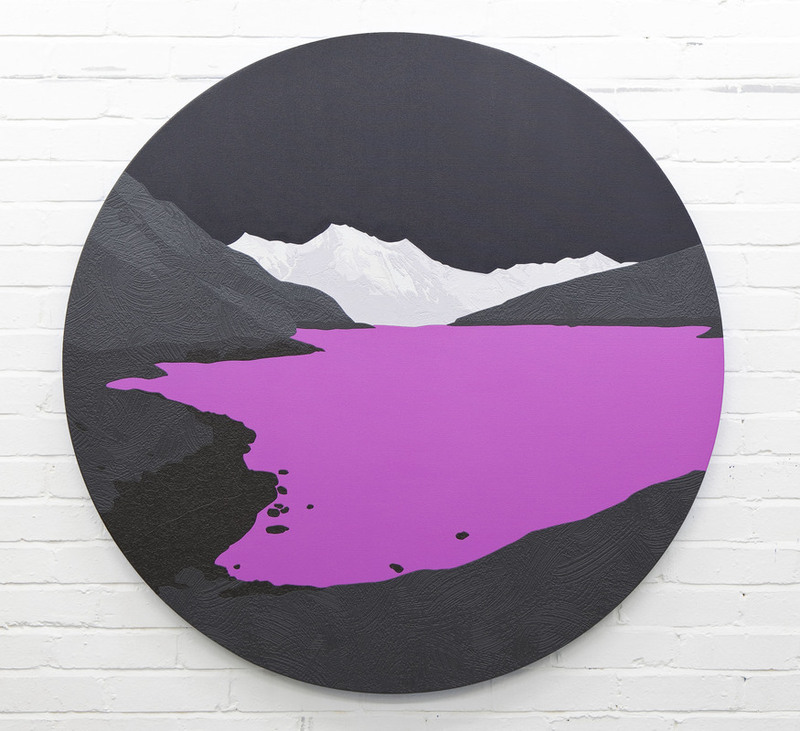 David Wightman: Paramour is on at Halcyon Gallery, 24 Bruton Street, until 20 May. Entrance is free.